(VEN) - Amid mixed and even skewed messages in relation to the merger of Metro Cash & Carry Vietnam (MCCVN) by the BJC Group, Assoc. Prof. Dr. Pham Tat Thang, a senior researcher from the Ministry of Industry and Trade believes that there should be a more accurate and objective view on the matter. He shared his view with Vietnam Economic News’ Minh Ly about the deal. The sale of MCCVN to BJC is deemed the biggest ever in the distribution industry in Vietnam. What are your views on this? Mergers and acquisitions are still unfamiliar in Vietnam while having been going on here for the last few years. Yet, it is just a normal activity in the world. So I think Metro’s sale of MCCVN to BJC is nothing more than a business as usual, and a matter of strategic business planning by the parties involved. What do you think the economy of Vietnam, and the local retail market in particular stands to gain or lose when it opens up to multinationals like Metro? Luring multinationals in the local market is what we want. It will force domestic companies to be more aggressive in upgrading their competitiveness to survive and thrive in their own back yard. Indeed, in its various negotiations for international economic integration, the government was thoughtful enough to allow local businesses to have time and the means to become stronger before the world’s renowned brand names come to Vietnam. Over the years, the government has also given strong support to domestic businesses in ways that are not contrary to international practices. When it comes to ‘gains’ and ‘losses’, I think that it is irrefutable that retail multinationals and Metro in particular have contributed greatly to the local economy and market. To date, as the largest FDI company investing in Vietnam in the distribution sector, Metro has for the last twelve years achieved impressive growth with 19 centers nationwide, 5 platforms and become the largest employer of Vietnamese workers (about 3,600 employees). More importantly, Metro has successfully developed a sustainable supply chain that is closely connected with agribusiness production, agroproduct manufacturers and various retailing systems, and established an e-commerce infrastructure system, ensured food safety and brought in state-of-the-art management systems of a world class distributor. I must add that Metro’s presence has given us international competition on our own homeland. That gives local businesses and distributors the opportunity to learn and develop themselves in an advanced market environment, which is good. I also believe that over the years, Metro’s strong brand name has provided the launch pad for numerous local brands to grow. Once a product is incorporated in Metro’s distribution system, it is guaranteed for quality and safety. By far, more than 90 percent of the products on the shelves in the Metro system have acquired a name for themselves as “high quality Vietnamese goods”. That’s no insignificant contribution. On the other hand, let’s reverse the question: without Metro first entering the Vietnam market, would the local retail market have had sufficient information it needed to crowd in Big C, Aeon and Lotte afterwards? As in any games, there are gains and losses, and I think that we should be fair in this. Of course, Metro’s presence puts some competition pressure on the domestic market, and a few Vietnamese smaller retailers have been gone in the process to give way to more professional players. What about the idea that some FDI companies like Metro are holding ‘golden’ parcels of land? Isn’t that a sign of the government being too generous towards foreign investors over their domestic counterparts? Tax preferences, land incentives, among others, are used to attract FDI. In the case of Metro, whether it is an overly generous favor, we need to have a comprehensive view. In retrospect, some twelve years ago (2002), not many Vietnamese companies would accept a hunk of land surrounded only by farming fields from the government, which is the current property of Metro Thang Long in Pham Van Dong Road. Only a multinational, with foresight and abundant financial resources could accept such investment risks, as it looks toward future development. More broadly speaking, most of Metro’s 19 centers in various provinces and cities were not developed within urban areas on the outset, and it often took years for the surrounding infrastructure and residential areas to take shape. We also need to be fair that Metro’s very existence in these places has been vital to the local socioeconomic development. So, I don’t think there is any unusual favor here. There is a recent view that big foreign companies like Metro are “squeezing” domestic businesses. What do you say about that? I think that it’s important to obliterate discrimination between the private sector and public sector, domestic companies and their foreign counterparts. Professional and well-performing businesses should be the ones to support. Let’s not forget that foreign businesses are also an integral part of the local economy, as Vietnam itself is still trying to improve its policy making and enforcement to bring in more foreign investment. Evidence has shown that foreign investors are often more efficient. They build their strength on finances, technologies and unique ideas to compete in the market. 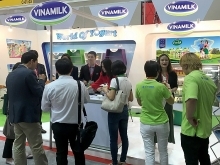 That is also what benefits Vietnamese consumers, and creates a model for domestic businesses to learn from. Whether we learn something from that however depends on the perception of local businesses. I believe that only through international integration and competition, Vietnamese businesses may improve. 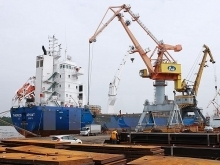 While Vietnam is currently facing a trade deficit against China, a public concern has emerged about dealing with competition from Thailand. In line with Vietnam’s WTO commitment for opening up the retail market after 2015 and the ASEAN Economic Community agreements, what do you think local businesses should do to hold their ground? When the ASEAN Economic Community is formed in 2015, a trade interconnection will be established between the countries in the region. Existing tariff barriers will be further lifted, as financial markets are better linked, and business regulations and procedures between different countries will be more aligned. 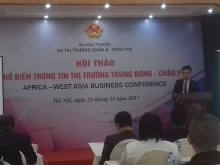 These will be an opportunity for Vietnamese companies to widen their markets, even though it will also be challenging as it is. Not just the influx of imports from Thailand, Vietnam will see more products from other countries like Malaysia, Cambodia and so on. As such, Vietnamese businesses need to take on a strategic and long-term approach, and work closely together for any hope of improved competitiveness, rather than chasing the shadow by confronting imports from China, Thailand, and possibly ‘Made in Malaysia’ goods in a not too distant future. My point is that if imports from Thailand are of good quality, affordable and authenticated, it would be good for Vietnamese consumers to have more of those. That will also be an opportunity for us to clear out products of unclear origin, poor quality and contraband unsafe food products that are flowing in the country from various border crossings./.